Another FireKeeper’s Casino 400 is in the books. 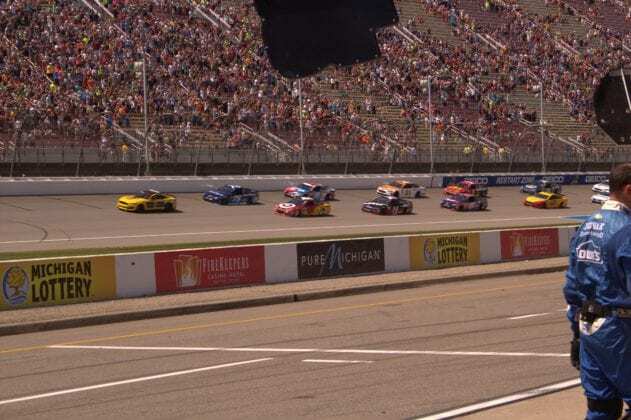 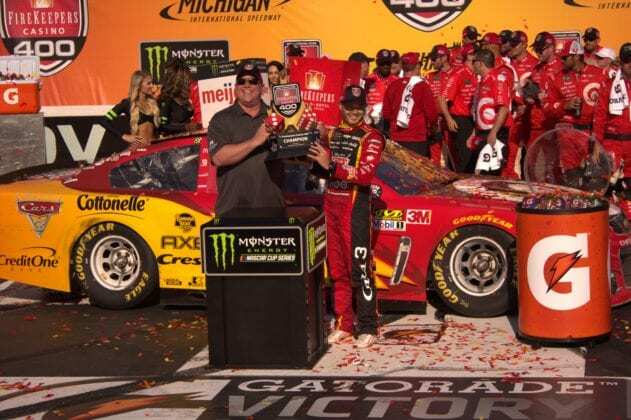 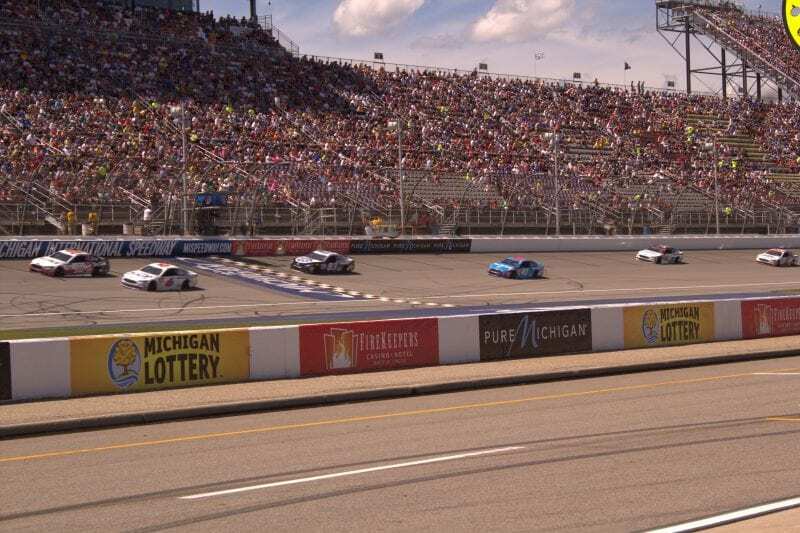 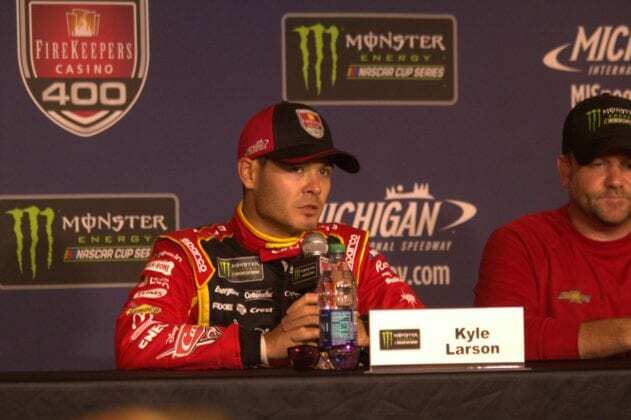 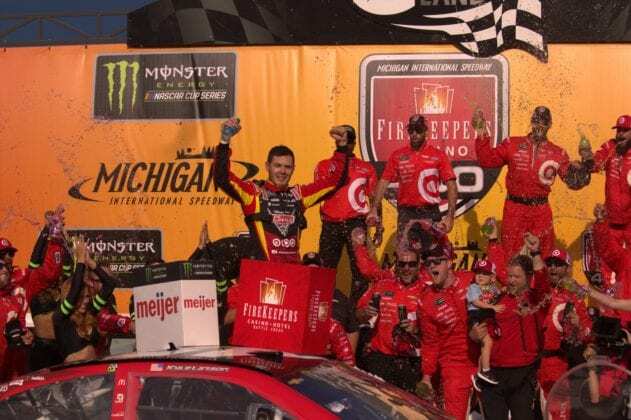 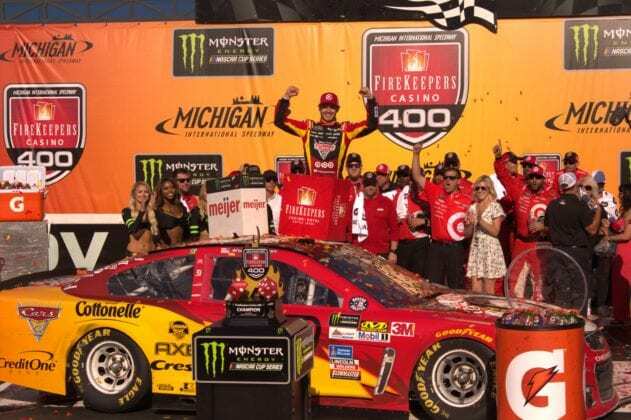 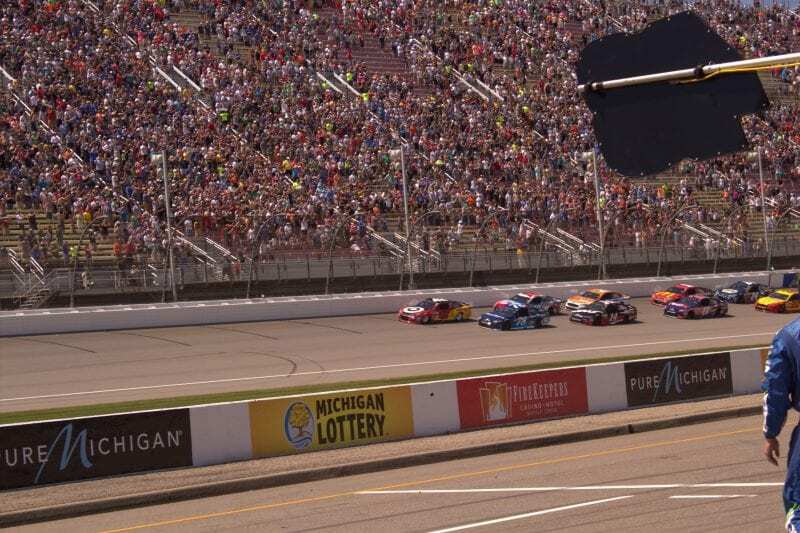 Kyle Larson(42) wins his second straight race at Michigan International Speedway. 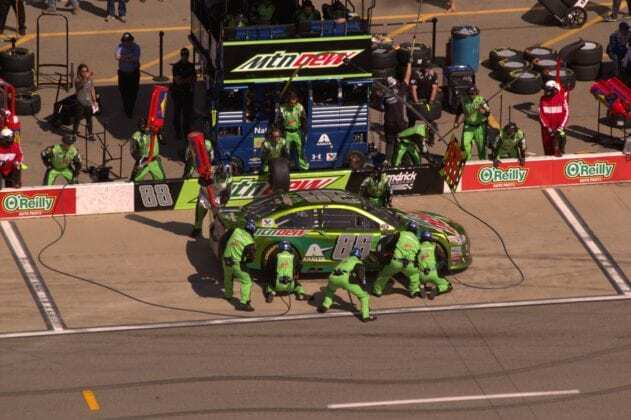 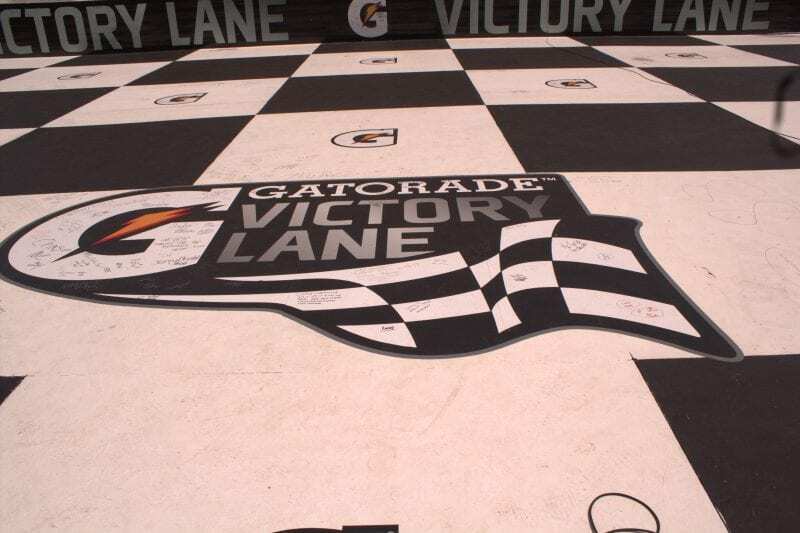 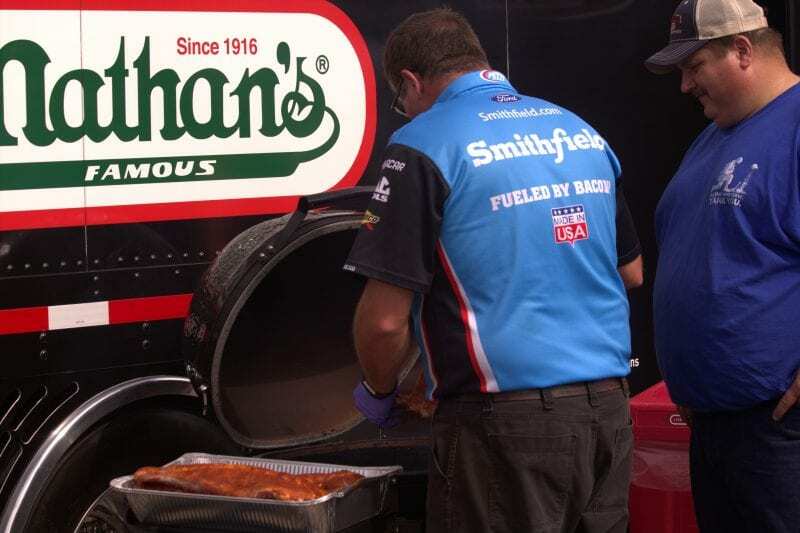 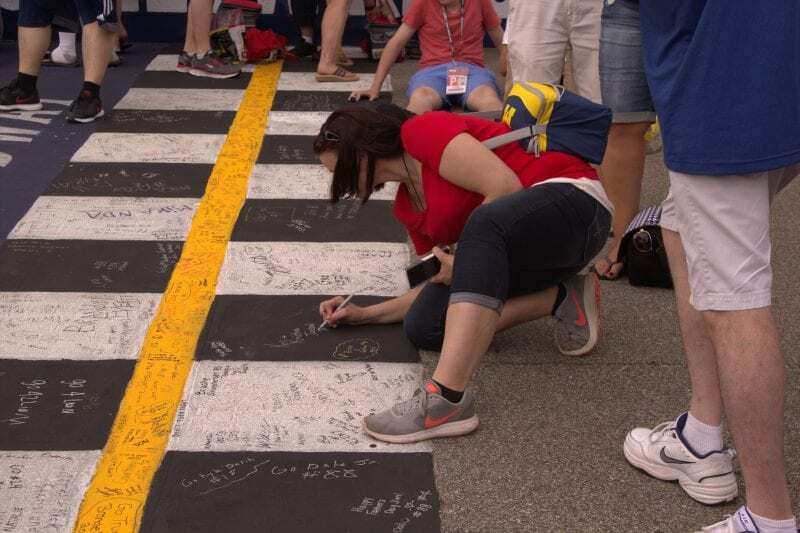 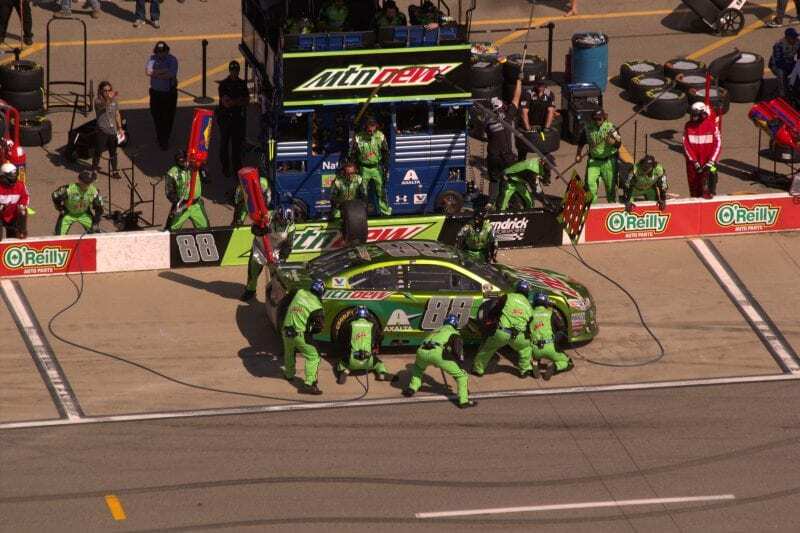 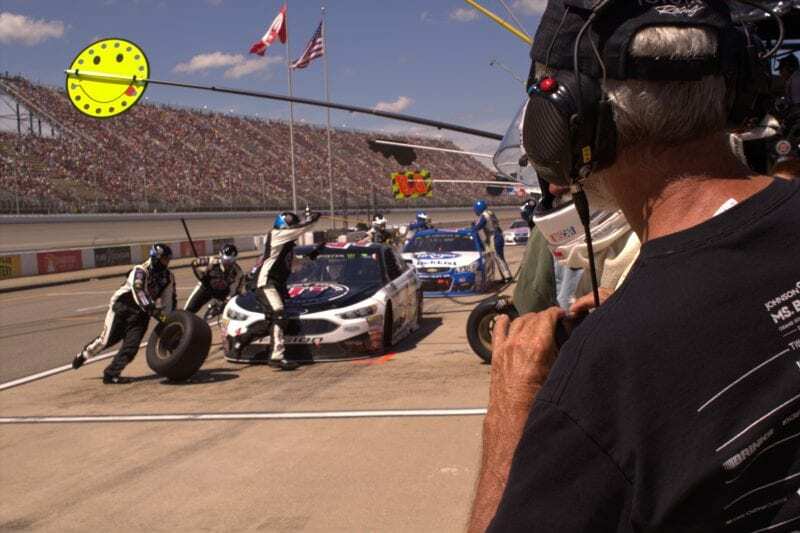 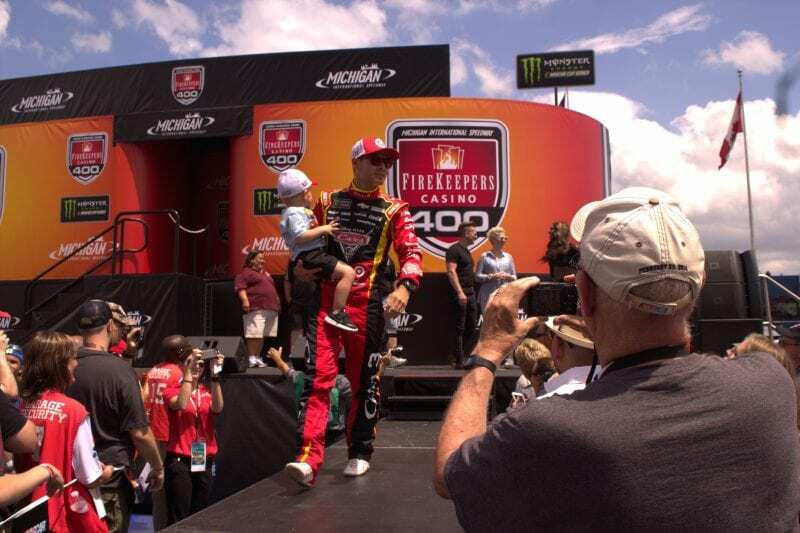 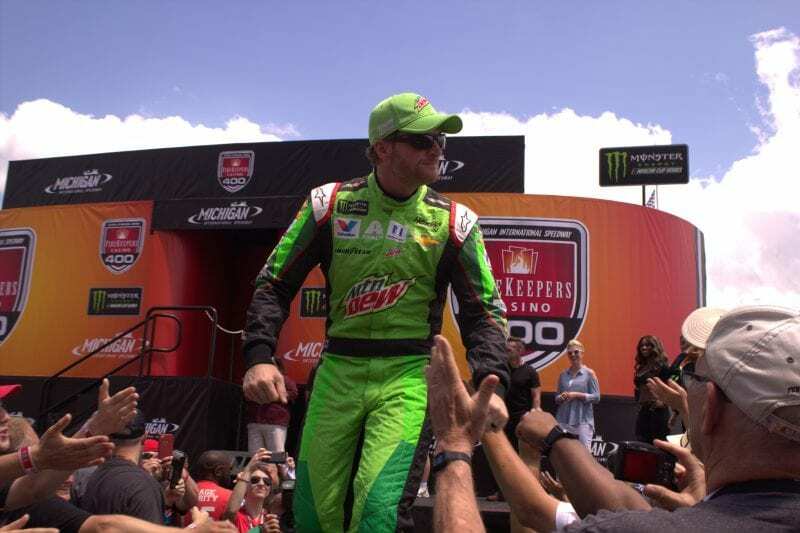 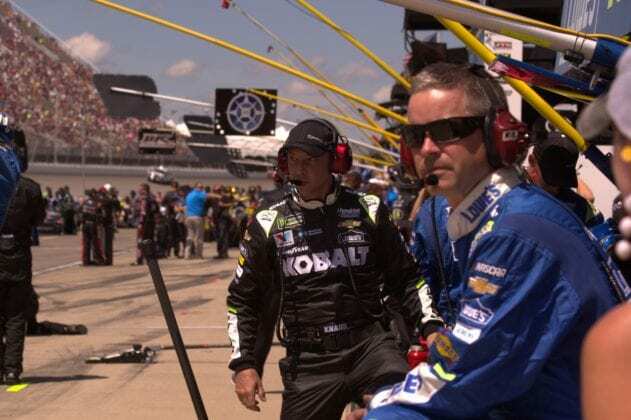 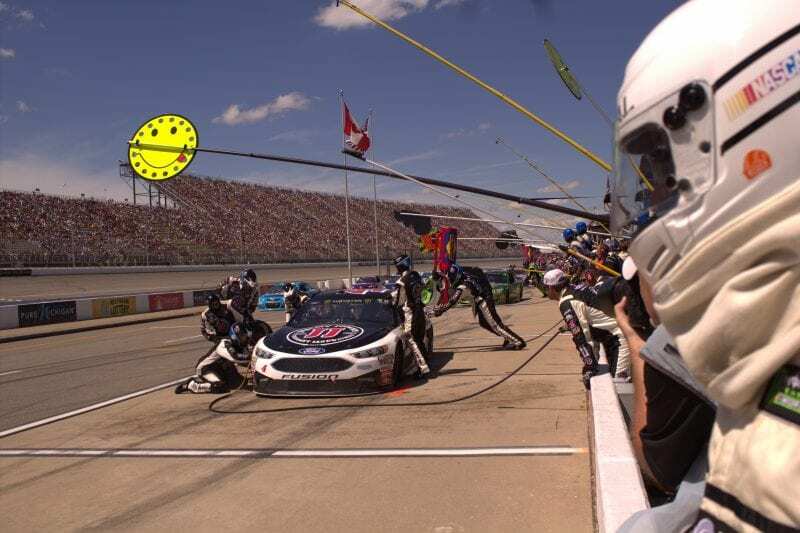 Fans enjoyed a weekend of great racing action at NASCAR’s fastest track. 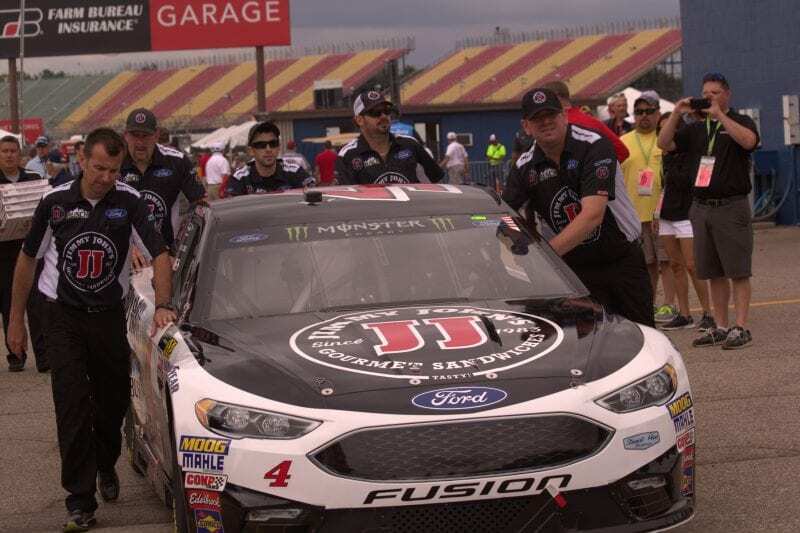 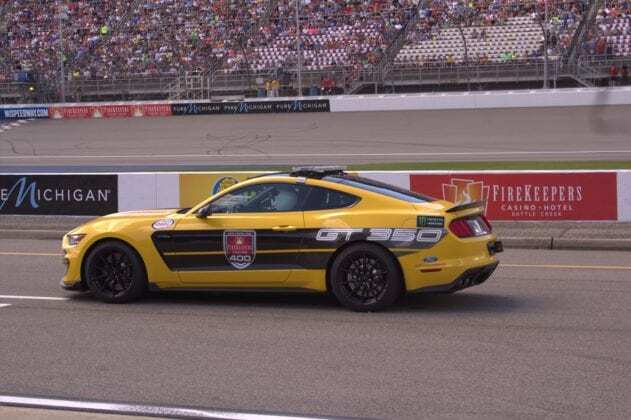 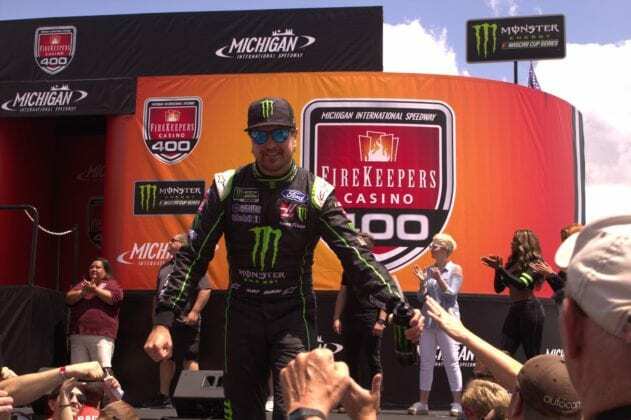 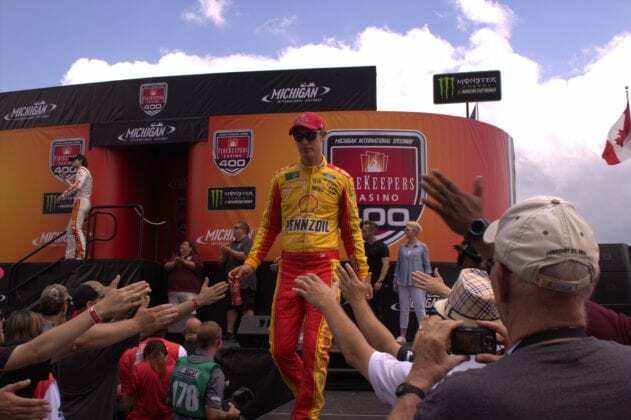 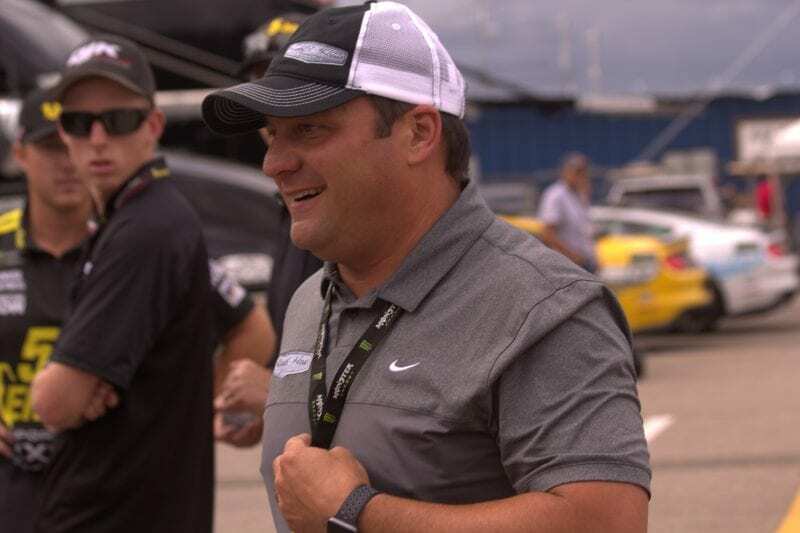 The infield party was highlighted with a pre-race drive-thru featuring the Monster Energy Series drivers greeting an enthusiastic crowd cheering their favorites. 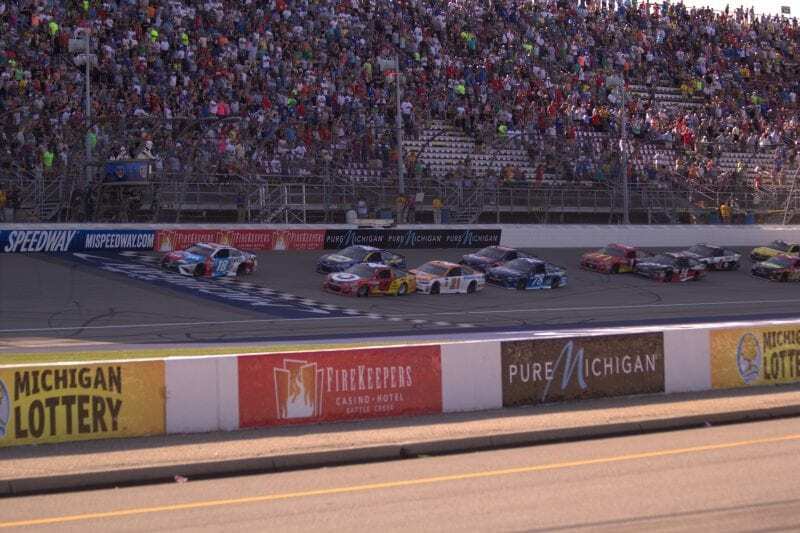 And we get to do it all again the week leading up to the Pure Michigan 400, August 13, 2017. 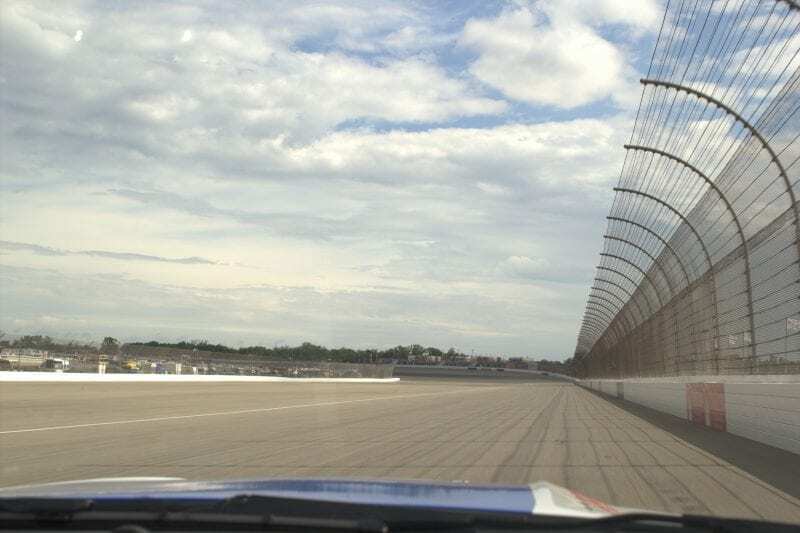 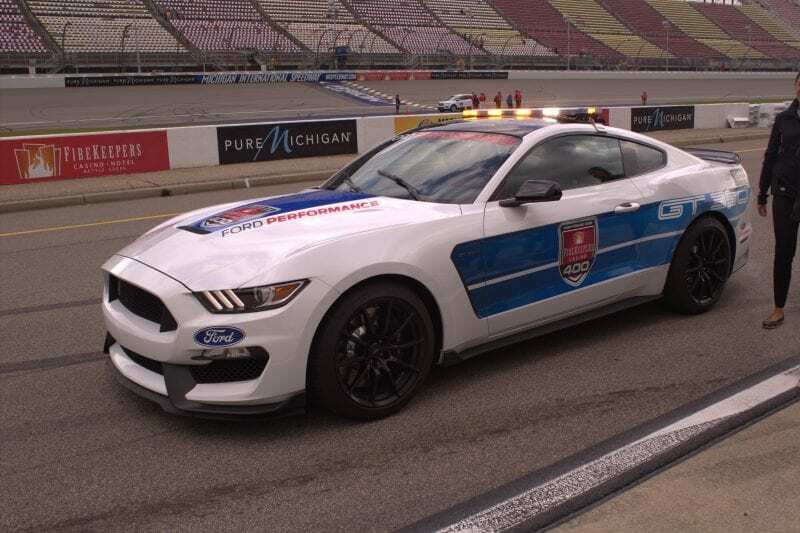 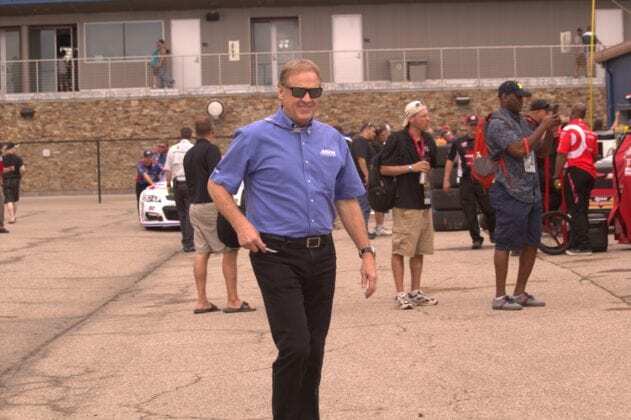 Activities started early at the track, NASCAR driver’s treated media representatives to laps around the speedway. 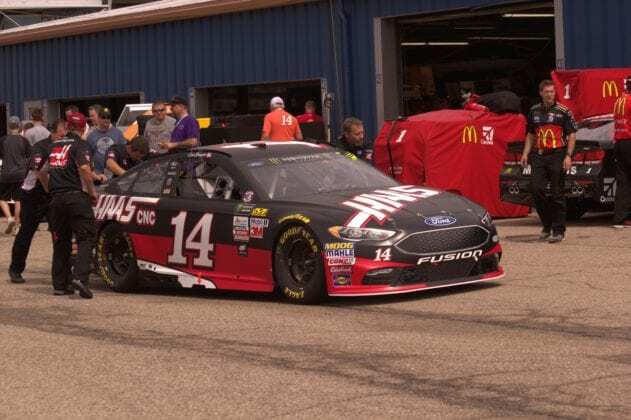 Our driver, Bubba Wallace(43). 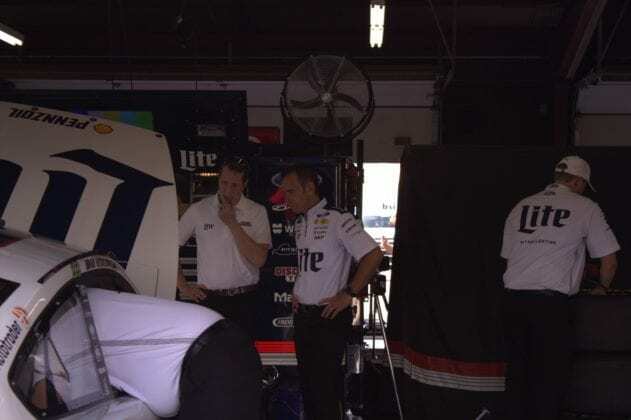 Aric Almirola’s substitute in the Richard Petty Motorsports Fusion. 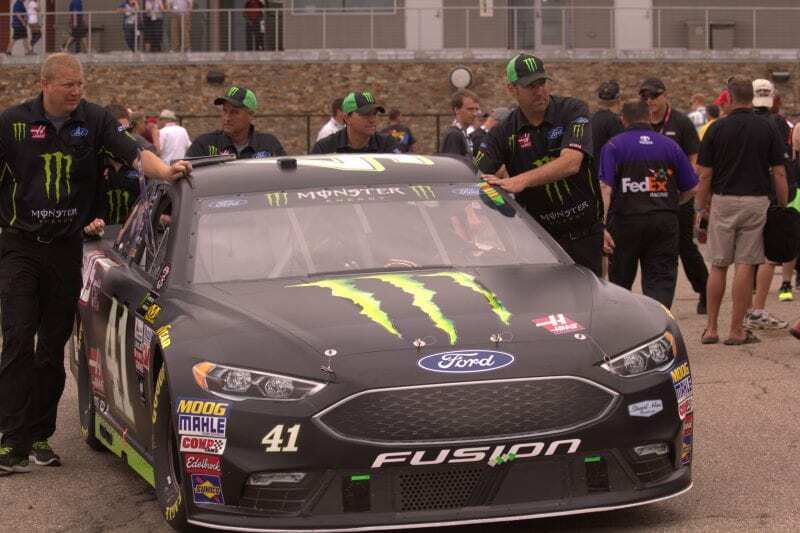 Race Teams prepped cars prior to rolling them out onto pit road. 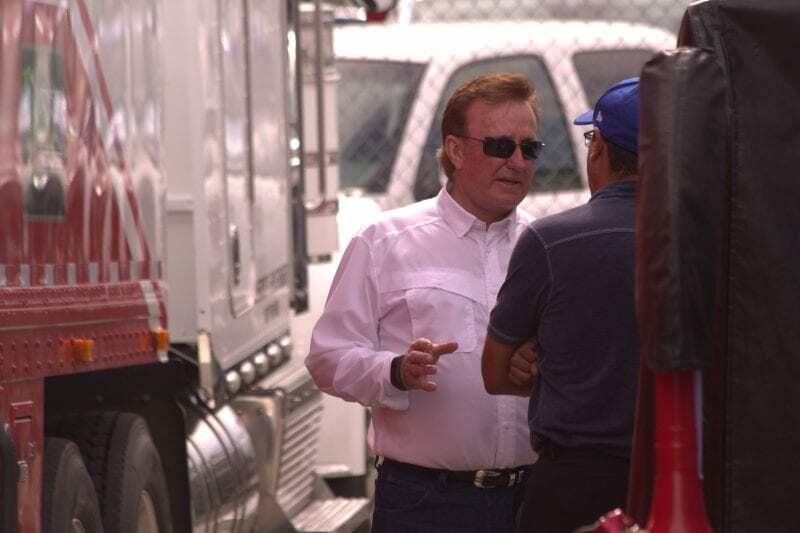 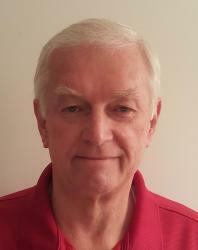 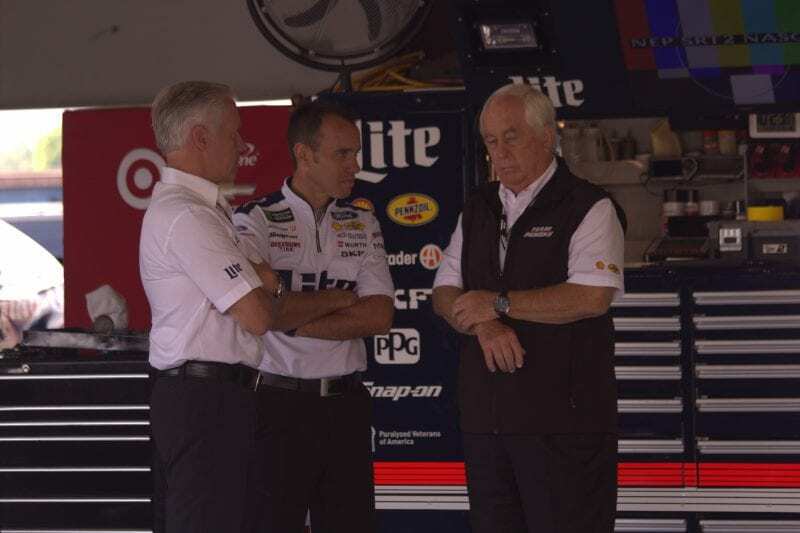 Owners talked strategy and crews prepared for the day’s events. 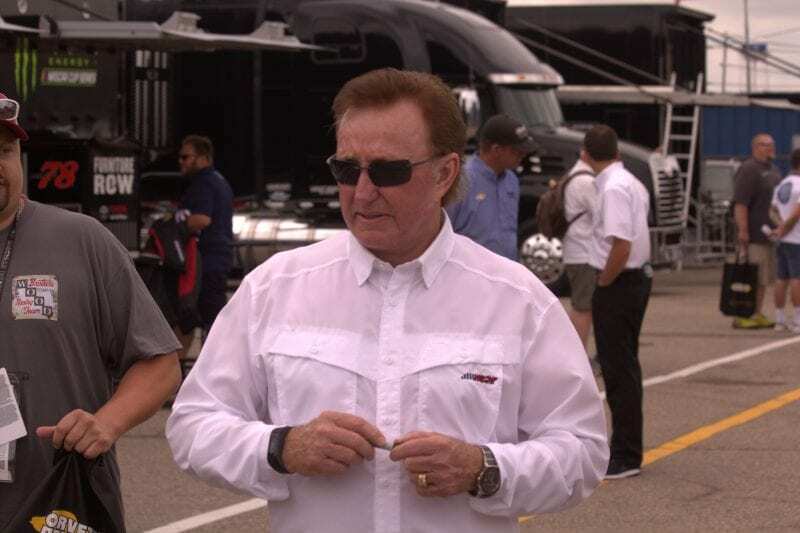 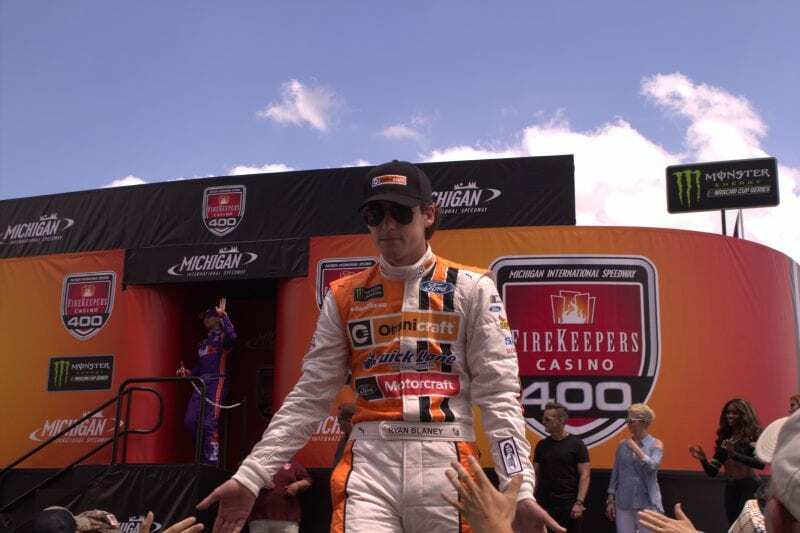 NASCAR celebrities and driver’s greeted fans. 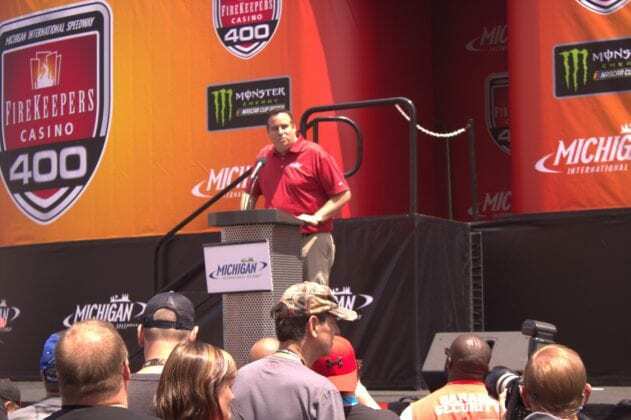 Festivities geared up the crowd for the start. 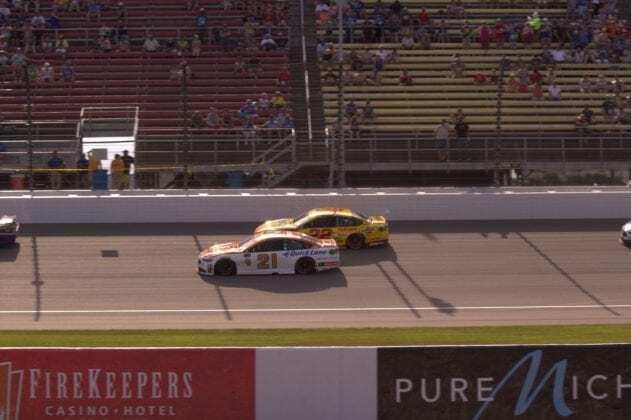 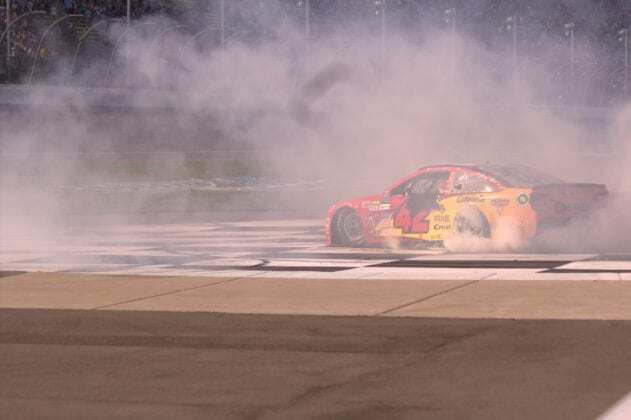 Martin Truex Jr.(78) and Larson dominated the action in stages one and two. 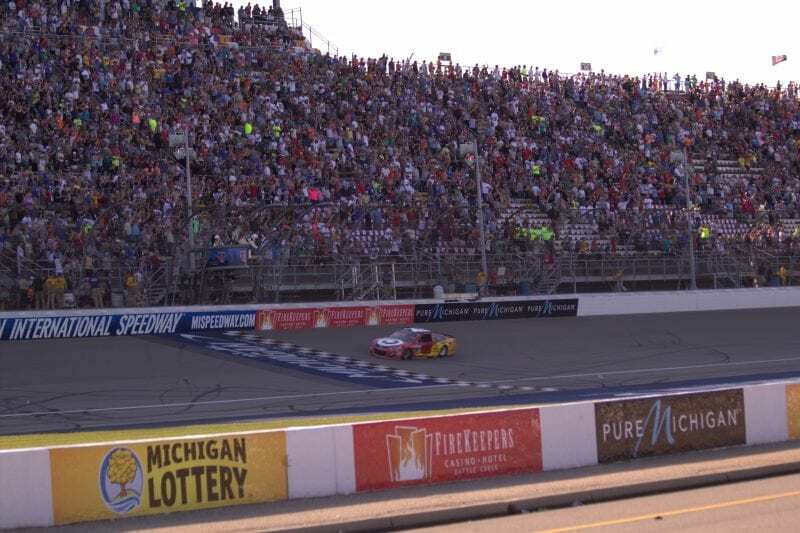 Fans saw action in the final 80 lap stage heat up. 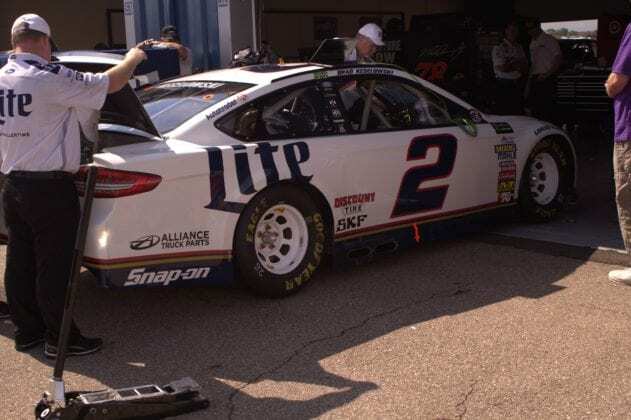 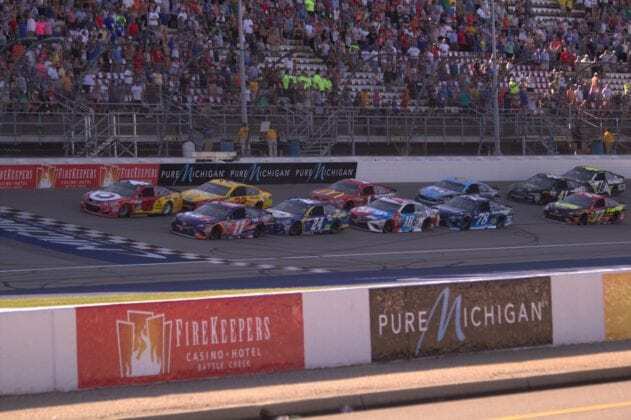 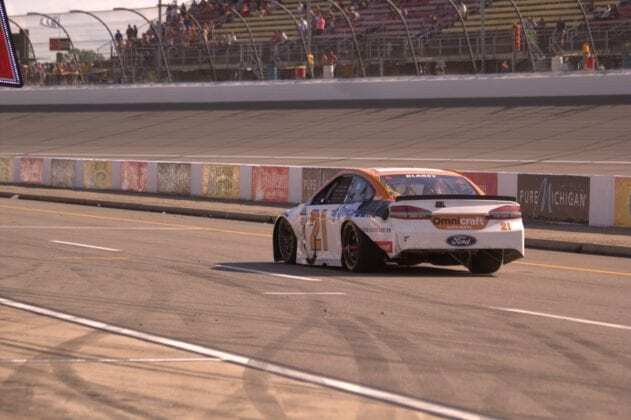 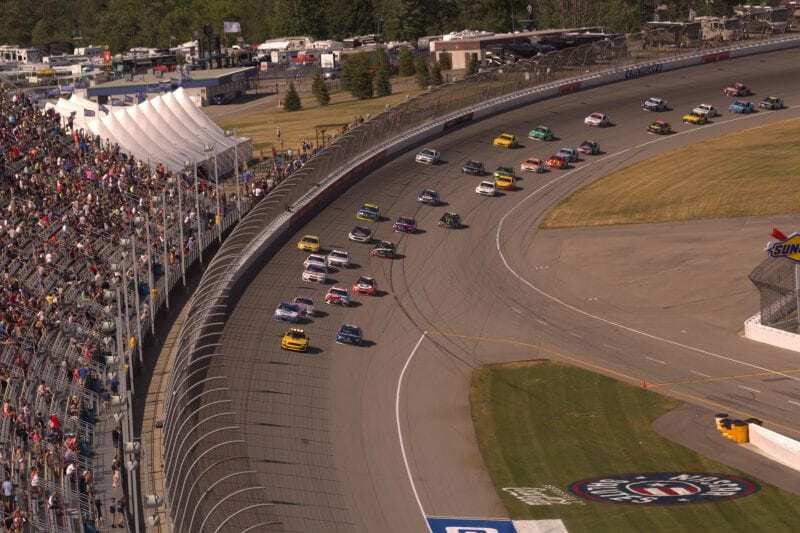 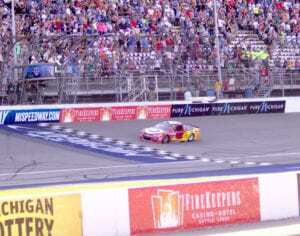 Several cars appeared capable of posting a win in the FireKeeper’s Casino 400. 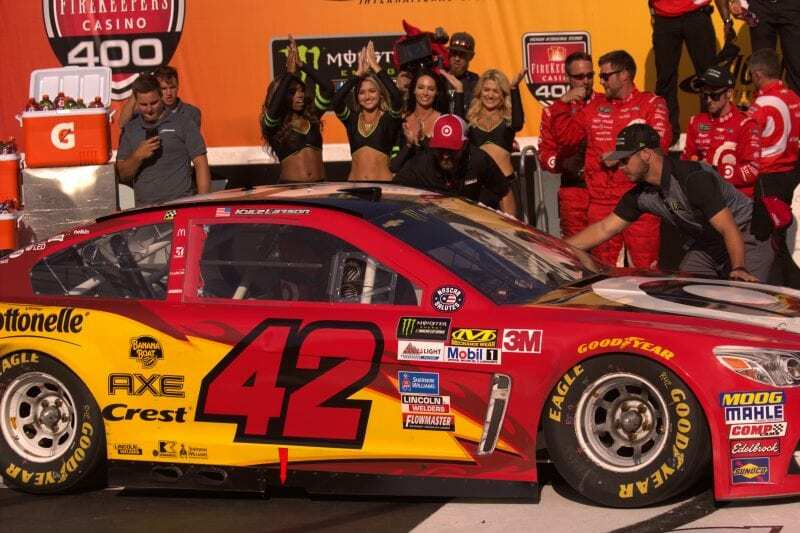 Competitive all day, Larson captured the lead when it counted most. 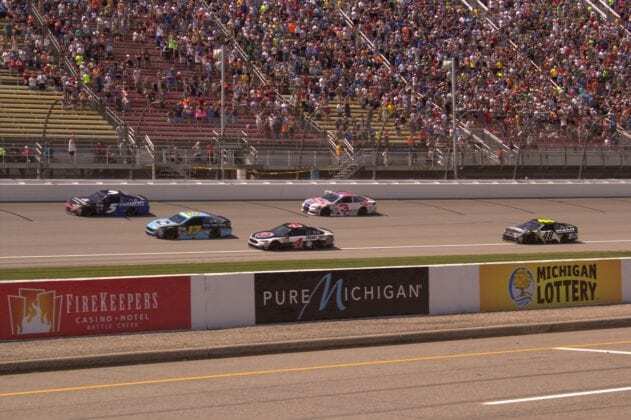 He was able to hold off the field through late caution flag restarts. 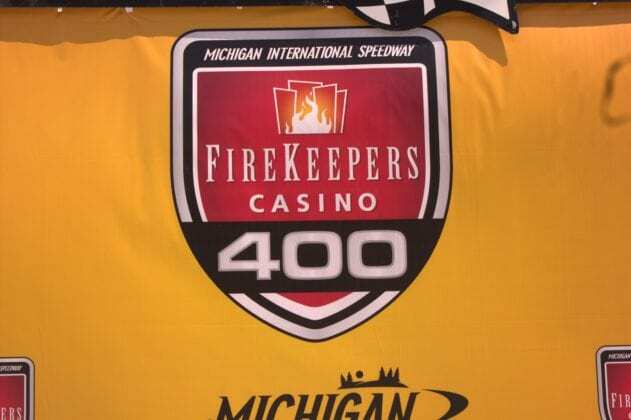 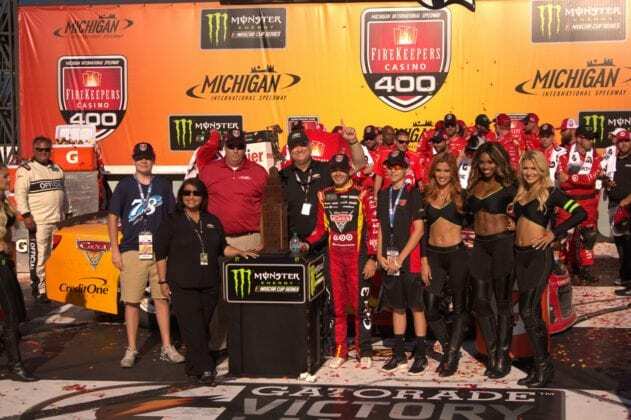 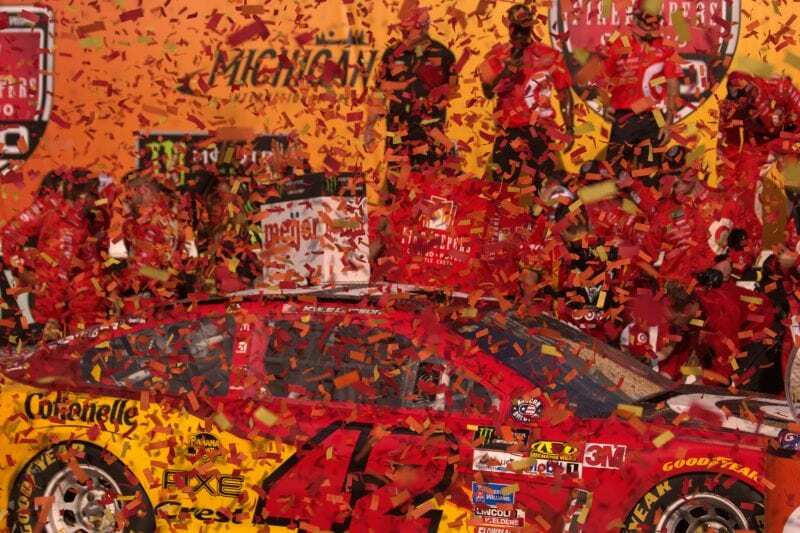 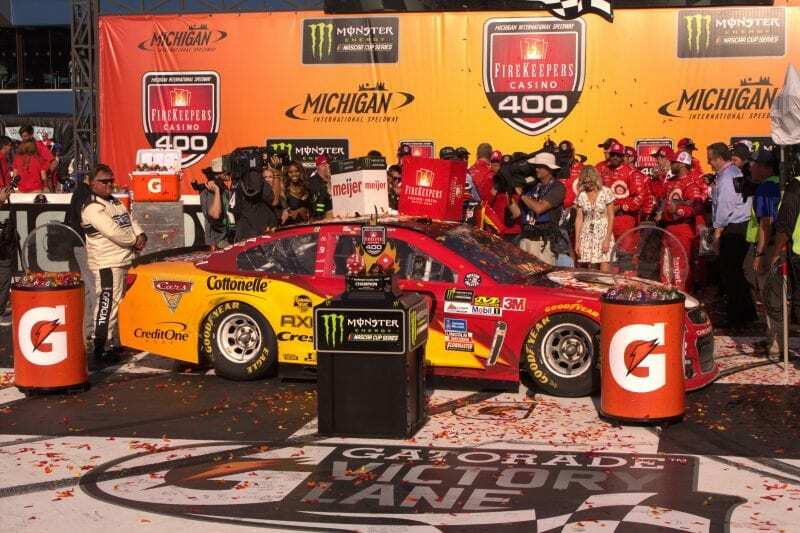 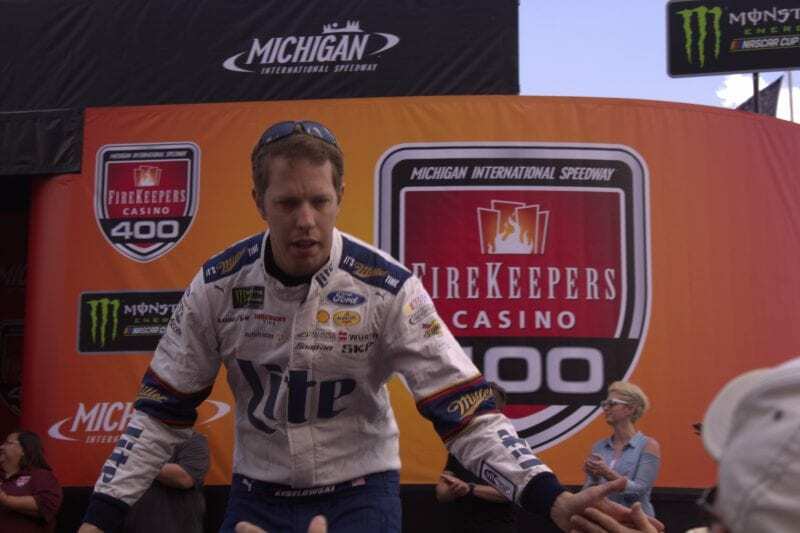 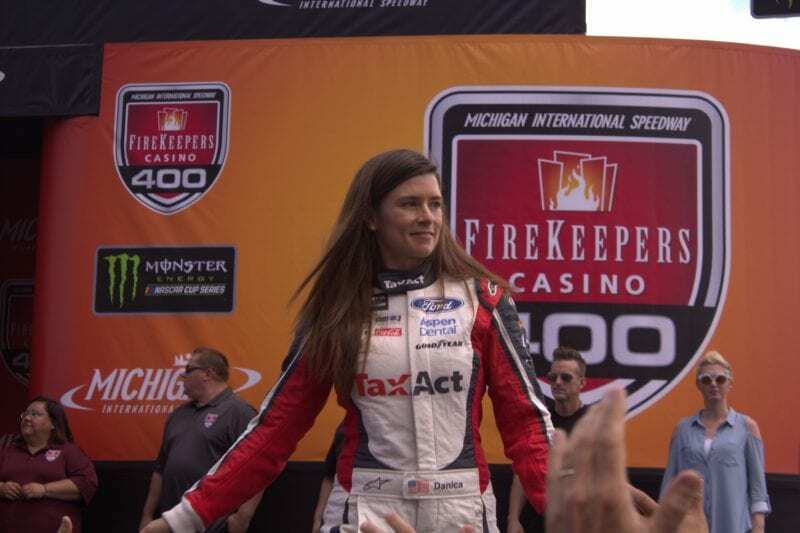 Earning the 42 team the FireKeeper’s Casino 400 win. 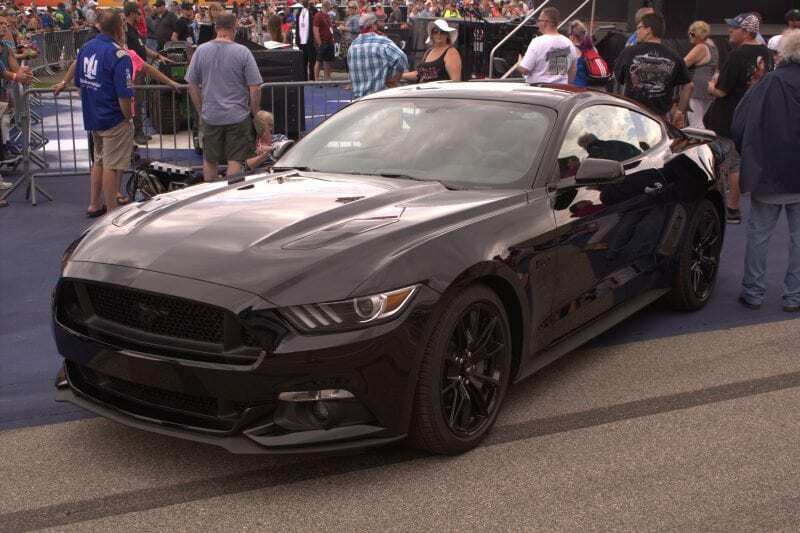 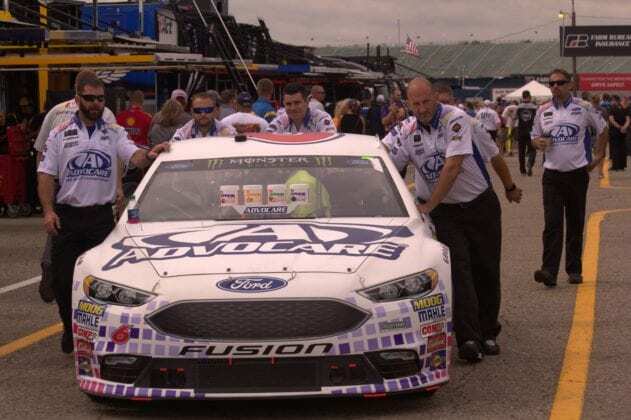 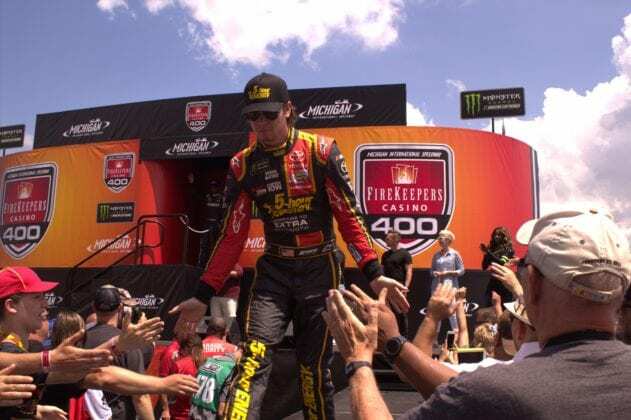 Look for more Lasco Press live coverage at Kentucky Speedway for the Quaker State 400 presented by Advance Auto Parts July 8th. See ya at the track.